Any power electronics system consists of basic functional blocks, to develop these blocks, a lot of effort is put to achieve desired performance and reliability, which takes considerable development time. Power Electronics Development Modules are simple, configurable & scalable modules that presents basic blocks of power electronics system. They can be easily configured and assembled for rapid power electronics development and prototyping. Being optimized for research, they provide visual feedback, testing points and easy sensing while maintaining flexibility and reliability of the system. Building your power electronics hardware just become simpler, just like your simulation software, our modules consists of modular blocks that could be interfaced together. 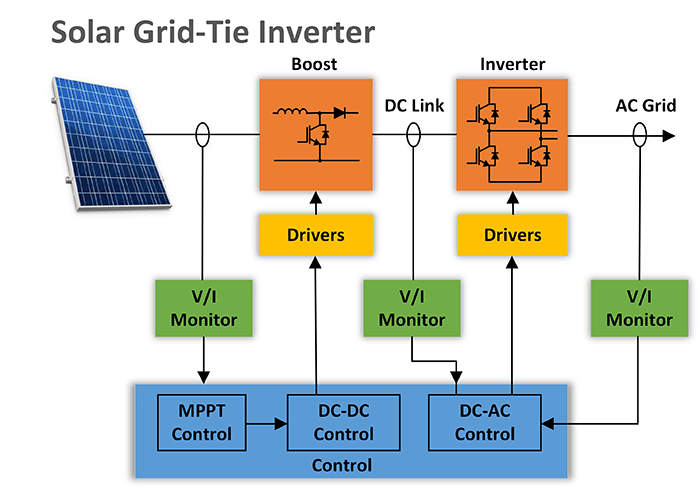 Since many basic topologies are available, combining blocks can make almost any power electronics system, such as multi phase inverters, Modular Multilevel Converters (MMC) and others. Most research publications nowadays require experimental validation of research work to be published. This adds cost, resources requirement and much more time, which results in reduced number of publication and wastage of funds and time. Power electronics development modules solve these issues and enable researchers to quickly prototype complex power electronics systems, and spend most of their time in innovation and publications. Power electronics development modules can be interfaced directly to most controllers such as DSP, DSPACE, FPGA and more. All inputs accept 3V/5V signals. Measurement and feedback outputs both unipolar 3V/5V as well as bipolar ±10V. BNC outputs of voltage and current can also be connected to oscilloscopes without any additional probes and devices, which reduces the cost and cleans the experimental setup. During development stage of power electronics systems, failure of equipment and devices is common due to issues and mistakes. Power electronics development modules offer advanced protection drivers with fault latch shutdown, that detects short circuit conditions and react in less than 5us, complementing 10us short circuit rated devices for optimum protection. Additionally, both inputs and feedback measurements are fully isolated. Power electronics development modules are intelliSENS ready, which adds powerful analysis tools such as THD, FFT, PF, etc., as well as unlimited recording, interactive playback and sharing. Designed with experimentation in mind, the system also provides visual feedback of inputs and outputs, dual LEDs gives feedback of ON, OFF and PWM states. Additionally, test points have been placed for easy measurement and debugging. Power electronics is a present and future technology. Renewable energy and electric vehicles will shape tomorrow’s power generation and transportation industries. Preparing tomorrow engineers require upgrading power electronics courses and labs. Adding experimental experience as part of the course results in delivering crisper concepts, while adding fun and developing passion for power electronics. We provide complete system design and building service of power electronics inverters and converters. If you need a ready out of box solution, then this service is most suitable for you. When we build custom converters/inverters, we customize the design of controller interface card to your requirements and your specific controller, so you get a true pluggable solution. 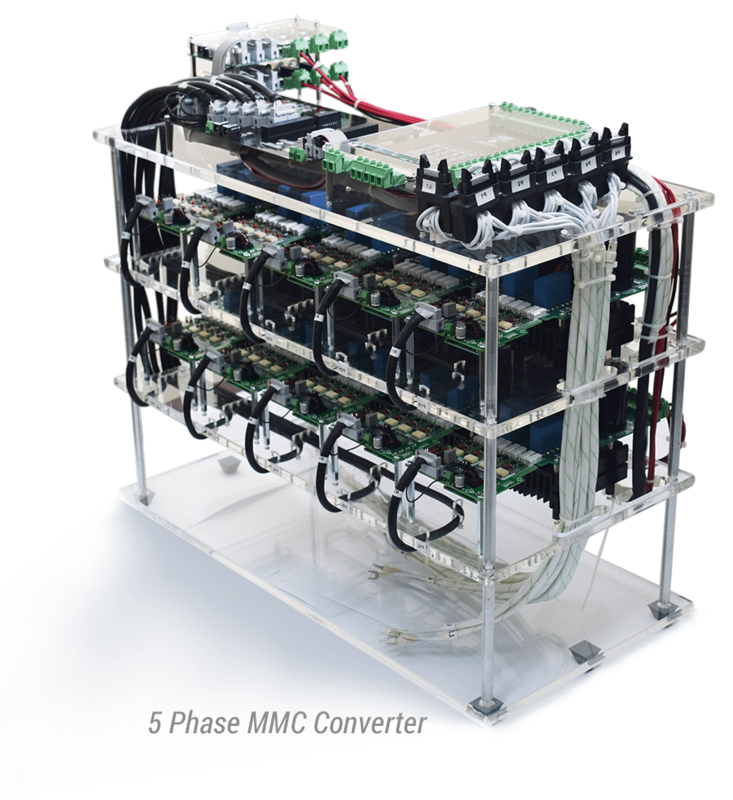 So far, we have provided many customized solutions such as 6 Phase Inverter, 5 Phase 4-Cell per Phase Modular Multilevel Converter (MMC) and 7.5kV Marx Generator. 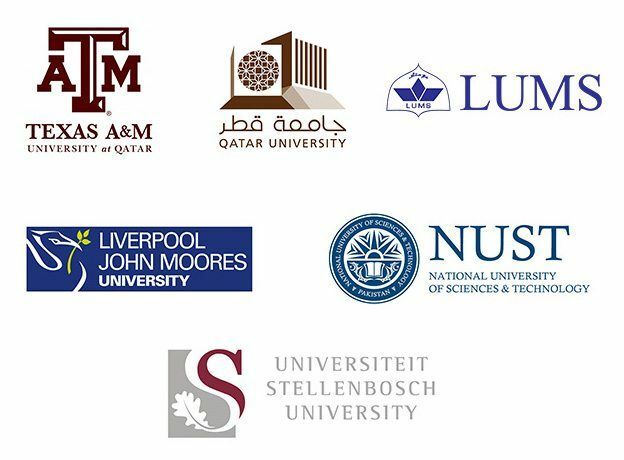 Some of our recent customers are Texas A&M University, Qatar University and LUMS.